The latest Google smartphone, is the highest-rated smartphone camera we have ever tested. Its image quality scores are impressive across the board, but it is particularly strong in providing a very high level of detail from its 12.3MP camera, with relatively low levels of noise for every tested lighting condition. It also provides accurate exposures with very good contrast and white balance, as well as fast autofocus. The Pixel’s strong scores under a wide range of conditions make it an excellent choice for almost any kind of photography. As with any small-sensor device, results are excellent in conditions with good and uniform lighting. But in addition, images captured indoors and in low light are very good and provide a level of detail unexpected from a smartphone camera. With flash, its auto white balance and detail preservation are excellent, making it suitable for indoor portraits — and even for photographing indoor events as long as there is some additional ambient light to help even out the flash. But One thing that the Google Pixel Phone Can’t do is to record a Time-lapse video. The Default camera app does not have the functionality to record the Time-lapse. but that can be Overcome by installing some third party apps on the smartphone. 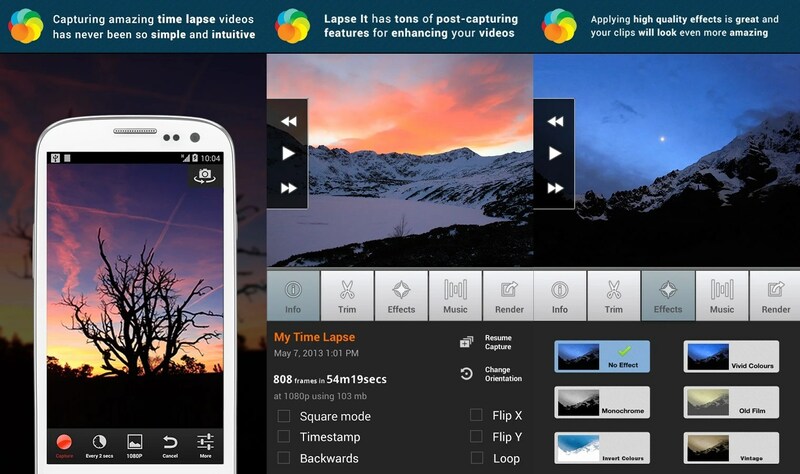 This free app comes with the single purpose of recording time-lapse videos on Android devices, and it has no ads. It supports the highest resolution of your camera (up to 1080p), has a recording delay timer, so you can control the speed of your time-lapse and the resulting video is of high MP4 quality. You also have both manual and auto-focusing modes, as well as the option to fine-tune white balance and color effects. The second app is a bit more advanced, and it comes with an even higher rating on the Google Play Store, but you’d need to pay for it. Lapse It supports the maximum resolution of your camera, and allows you to mash up your time-lapse video with any song from your library as a sound track. It can brag with a good-looking UI, a fast rendering engine, custom frame rates, filters effects, and even a bonus stop-motion mode. It has advanced options like reverse time, a video trimmer, the capability to export to MP4, MOV and FLV, and it can also upload your video directly to YouTube, or other services.